Rashaad is a young member of the US Navy who will be going to training from 4/20/2019 – 1/22/2020. Rashaad has reached out to PACT to help him find a temporary safe haven for his best buddy, Sky. Sky is an adorable young American Staffordshire mix who is friendly and always happy to meet new people. Can you offer him a temporary place to stay? Sky is a 2 year old neutered male American Staffordshire terrier mix. He’s up to date on his vaccinations, and has been crate and leash trained. 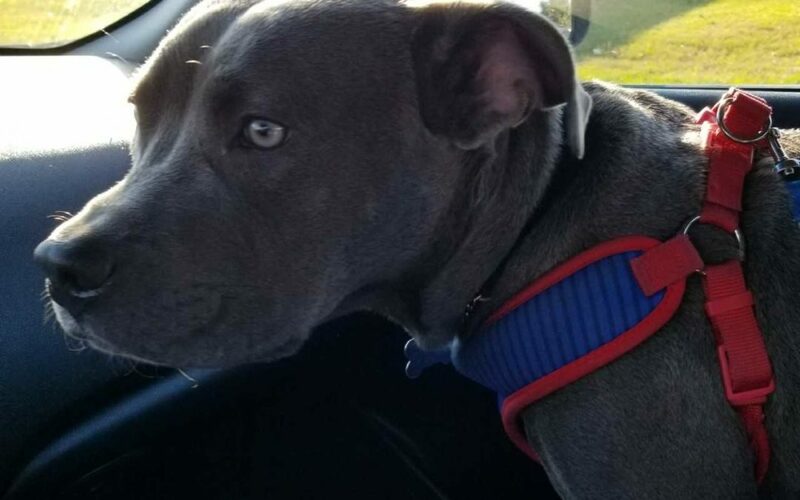 He loves to ride in the car, especially when you’re on the way to his favorite place – the park! Sky gets along well with other dogs and has lived with teenagers and other dogs in the past, but doesn’t have any experience with small children or cats. Sky knows commands for sit, lay down, shake, and go to bed. If you are interested in fostering pets like Sky, fill out a Foster Family Application. If you are interested and have already completed your Foster Application, please email info@pactforanimals.org and let us know!